This picture was taken in the tiny underground chapel in the Wieliczka Salt Mine just outside of Krakow, Poland. The mine is really cool, and this is only a tiny chapel, which, while still beautiful, is not quite as impressive as the larger one which has lots of statues carved from salt in the mines. 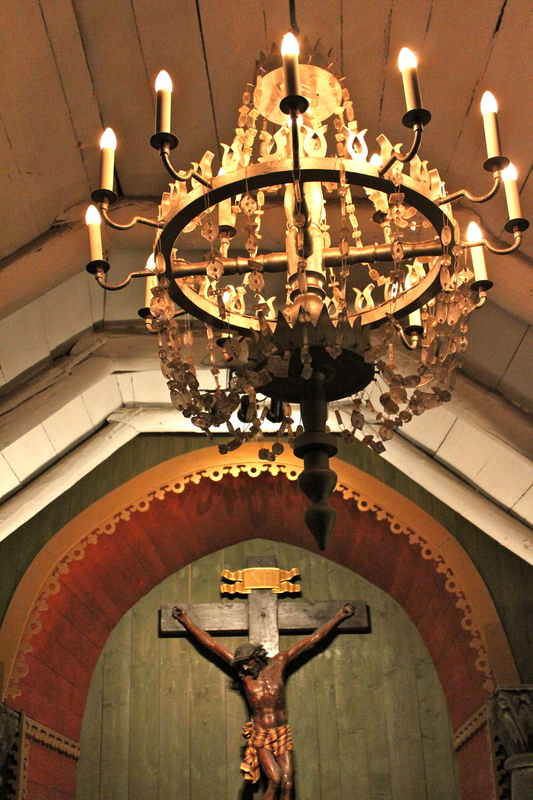 This chapel, like the other, has a lovely chandelier made from salt crystals! The mines are cool, and are absolutely worth a visit!